Chord Electronics Standard Series power amps get MkII upgrade | What Hi-Fi? 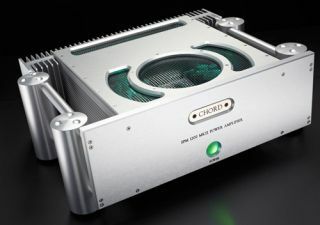 Chord Electronics has upgraded four Standard Series power amplifiers to MkII status, bringing new design and performance upgrades. Drawing on technology in the company's Reference Series of amplifiers, the four new models are the SPM 1200MkII, SPM 4000MkII, SPM 5000MkII and SPM 1400MkII. The three power amplifiers and mono amp feature new front and rear panels, the latter with heavy-duty, gold-plated speaker terminals and the addition of support for third-party power connectors. Internal improvements include a new power control and sequencing board, refinements to the filter components and new driver circuits. All four Chord MkII products are out now. More details on the Chord Electronics website. See also: Chord Electronics SPM 14000 MkII mono amplifier and CPA 8000 preamplifier review.